Studies, data, and reference material for metal users. GPS+1.compressed Comparison of suitability of titanium grade 2 and C276 for service with halide acids. Each User owns and is responsible for the content that such User posts on our Great Plains Stainless Site, including information that such User publishes and makes available for other Users to view. The posting of the information is not in violation of any applicable laws, contractual restrictions or other third party rights. It is solely your responsibility to ensure the accuracy of your profile and submitted content and to update that information as appropriate. License and Use of Content. In order for you to share your information with others, Great Plains needs your permission to reproduce your information on or through this Site. Therefore, under these Terms and Conditions, by submitting, posting or displaying any content to or on this Site, you agree to grant Great Plains a non-exclusive, worldwide, assignable, sub-licensable, and royalty-free right that permits us to copy, distribute, publish, remove, retain, and use your content or information without any further consent, notice or compensation for the sole purpose of enabling Great Plains to provide you with its Services. Additionally, with the objective of reaching more people and facilitating connections, you hereby grant Great Plains the right to share published information from our Site with other sites with which we have partnerships. Information published on our Site may become public information at the time of its distribution on other sites, via email alerts, RSS feeds, search engines, and other social media tools. Furthermore, by submitting or posting content on the Site, you agree to provide other users with a license to permit Users of the Site to download and share content from this Site, provided that they properly attribute the work to the author, do not alter it in any way, and do not copy or use the work for commercial purposes. User-to-User Communication and Sharing. The Site includes various forums and blogs where you can post your observations and comments on designated topics. Great Plains cannot guarantee that other Users will not use the ideas and information that you share. Therefore, if you have an idea or information that you would like to keep confidential and/or do not want others to use, do not post it on the Site. Great Plains is not responsible for a User’s misuse or misappropriation of any content or information that you post in any forums, blogs, and other sections of the Site. 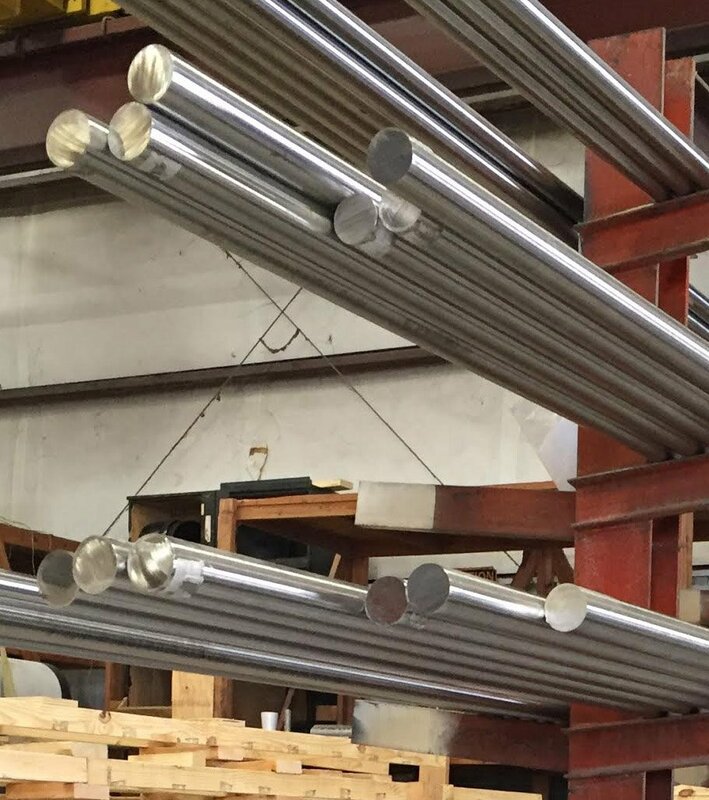 The materials contained in this website have been posted by GREAT PLAINS STAINLESS for information purposes only and should not be relied upon as specific advice or an application to a particular problem. While Great Plains Stainless attempts to include accurate information in the content provided on this site, occasional errors or omissions may occur. Great Plains Stainless will make reasonable efforts to correct such errors or omissions, but makes no representation regarding the accuracy of information provided. THE INFORMATION ON THIS SITE IS PROVIDED TO USERS “AS IS.” GREAT PLAINS STAINLESS MAKES NO OTHER WARRANTY OR REPRESENTATION, EITHER EXPRESS OR IMPLIED. NEITHER GREAT PLAINS STAINLESS NOR ITS AGENTS WARRANT THE ACCURACY, COMPLETENESS, PERFORMANCE, CURRENCY, MERCHANTABILITY, OR FITNESS FOR A PARTICULAR PURPOSE OF THE INFORMATION PROVIDED ON THIS WEBSITE. GREAT PLAINS STAINLESS DOES NOT WARRANT THAT THE INFORMATION IS ERROR-FREE IN CONTENT, NOR SHALL GREAT PLAINS STAINLESS BE LIABLE TO CUSTOMER(S) OR ANY OTHER PERSON OR ENTITY FOR ANY DAMAGE CAUSED IN ANY PART BY CUSTOMER’S USE OF OR RELIANCE ON THE INFORMATION CONTAINED IN THIS WEBSITE OR BLOG , OR FOR ANY CONSEQUENTIAL, INCIDENTAL, INDIRECT, PUNITIVE, SPECIAL, OR SIMILAR DAMAGES, EVEN IF ADVISED THE POSSIBILITY OF SUCH DAMAGES. SOME STATES OR COUNTRIES DO NOT ALLOW THE LIMITATION OR EXCLUSION OF THE IMPLIED WARRANTIES OR LIABILITY FOR INCIDENTAL OR CONSEQUENTIAL DAMAGES, SO THE ABOVE LIMITATIONS OR EXCLUSIONS MAY NOT APPLY TO YOU. HOWEVER, IN NO EVENT MAY ANY USER BRING ANY CLAIM OR CAUSE OF ACTION AGAINST GREAT PLAINS STAINLESS, ITS SUPPLIERS OR DISTRIBUTERS, MORE THAN ONE (1) YEAR AFTER SUCH CLAIM OR CAUSE OF ACTION ARISES. You may share or repost content from this website ONLY WITH ATTRIBUTION and written consent of Great Plains Stainless.